tinians" and accused the U.S.
trvices of the Israel Consulate office in Miami. invited to tour the soon to be opened facilities. feld, H. Irwin Levy, Mrs.
Business and Professional Women's Group. committee of the Morse Geriatric Center. providing there is a demand,"
for people like my parents. Trus(ees of (he Morse Geriatric Center. donated by Mr. and Mrs.
sports camp at Camp Shalom. It will also give us the opt*"
vantages to the people"1 "
Board of the Jewishi Cog"
ision Campaign to surpass the $1 million dollar mark. lirperson of the Business and Professional Women's Group. 'omen's Division for many years. president of Campaign; and Carole Klein, Outreach vice president. years of service as Women's Division president. dedicated service to the Palm Beach County Jewish community. Jewish teachers, educators and their guests at the inaugural tertainment at the community-wide Yom Hamoreh celebration. "Merkaz" of the Jewish Community Day School. join with him in an enthusiastic "sing-a-long." Combining 'Our Vote*" and 'Fadafation Raportar"
Epstein. Director ot Public Relations. 501 South Fiagier Dr.. West Palm Beach, FL 33401. Jewish Floridian doe* not guarantee Kashruth ot Merchandise Advertised. JEWS IN THE USSR ARE ON TRIAL AGAIN! men be permitted to go with their families to Israel. coupon and send it to him at the White House. rejection of the Israel-Lebanese agreement? with exchange of instruments of ratification. simultaneous Syrian and PLO withdrawal. Arab state from the Arab-Israel conflict. into backing away from the agreement. forms of armed attacks they are inciting. What's behind the Syrian posture? never had diplomatic relations with Lebanon. The decisive factor in the intransigent! other advanced weaponry such as the Ml! led him to Jerusalem in November 1! role the Soviet Union seeks to change. sary. That's what you think! temple hall must be decorated. portant sites of Jewish interest in our nation's Capital. tuition assistance to children attending the school. wt* awom and moor, if you want. Leslie w ill be attending Cornell in the fall. page color spread on the High School in Israel Program. contest in the 15 to-19 year old division. Larry will attend Florida State in the fall. New "> ork as a Security Analyst. average. He plans to attend the University of Miami. of pasta-shaped animals kids lovo! munities, as well as to the U.S.
favorable to Israel and of U.S.
transfer lo a different prison"
May 20th at KrLstine's in Lake Worth. the same needs and desires." Sheftell will host the collation. on Sunday, June 19 at 10 a.m.
Tuesday, June 21, 10 a.m.
o chu< cc> ou uu nouu hm worn iu .Loet,o"
surroundmgs put together with skill, imagination and care. ^^. """fr P married couple, to .hue their year. om noon till 3 p.m.
sule and synthetic at that. we will not learn from it. which is paid in part by U.S.
way for the collective good. Sholom Men's Club, 10 a.m.
David Executive Board, 7:30 p.m.
ORT Lake Worth-Covered Bridge board, 10 a.m.
Congregation Aitz Chaim board, 10 a.m.
Jewish War Veterans No. 408 board, 7:30 p.m.
American Red Magen David for Israel board, 1 p.m.
cording to space available. U! a a a 5! K?5 Scot,and's most famous product is scotch whisky. Shabbas, the holiest of days." |of New York; Executive Committee CJF and JDC. History: Retrieving a Jewish Legacy. * L'CHAYIM Sunday, June 12 and 19, 10:30 a.m. 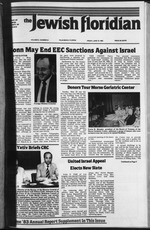 I The Jewish Listener's Digest, a radio magazine. | regional director of El Al. | counts of European Jews. ISRAELI DIARY Thursday, June 16 and 23, 10 p.m. I domestic and religious affairs in Israel. "eat. cover and simmer 3V hours or until tender Meanwhile. until well glazed. Serves III to U.
mavonnaise. mustard, vinegar and sugar. potato salad with dressing Serves 6. Good Typing and General Secretarial Skills. 15 DAYS DELUXE3 STAR PACKAGES INCLUDING! FUUY ESCORTS) ON ELAl FROM MIAMI ONIY $1855 P/P DM,. Meals to persons at home. minimum of two days a week. continue to live with dignity. yourself to the JCC family. working at the JCC on June6. Stop in and get acquainted. Marci wants to meet you. will present a tribute to Mr.
sponsor ot this special day. you can drop it at the Center. are anxious to air their views." hut-*, arts i cram. mnrtci arJ a*rr! Every Room with Private EJath. lainment that s second to none. *-J don't |U the mold. priding on the day of sale. krice of the former residence. right to make the election. 104, from noon to 1:30p.m. Year Huts. TIM Offto 4 FrieeUea P"
KOSHER AA |MARKET 8-4 Sun. In The Comfort Of Tho CatsWte! minal illness of a loved one. losing someone close to them. for over two thousand years. to return to the synagogue. lo help you through the pain. Paul Tomberg, son of Mr.
Matthew Jacobs, son of Mr.
10 a.m. at Temple Beth David. at Congregational Church, 115 No. Federal Highway, Boynton Beach. vices, Friday 8 p.m., Saturday 10 a.m.
Friday H:15 p.m. Saturday 9 a.m. >.m. a.m. President Eli Rosenthal. Cantor Albert Koslow. Phone 793-0643. FL 33490. President LiefGrazi: 1-287-7732. Friday service 8 p.m.
ol Boca Turnpike) The Free Synagogue, P.O. Box 3, Boca Raton 33432. Century Village, W. Palm Beach. Phone 689-4675. Sabbath services9 a.m.
at The New Jupiter Middle School. South Military Trail, Jupiter 33458.
tourth Friday of every month, 8 p.m.
Merle h. Singer, Cantor Martin Rosen. Sabbath services Friday 8:15 p.m.
wSJman" c.S?SCt 5341-1' F.riday scrviccs8:15 p.m. Rabbi Steven R.
KO at Southern Boulevard. Rabbi Joel L Levine Cantor Rita Shore. Mailing address 1407 ,4th Lane. Lake Worth :ESS PhoS 965-7778. KJayBcMh'lteVlt6!61- Mailin* address 2005 N.W. 9th Street. ueiray Beach, 33444. Rabbi Samuel Silver. Friday services 8:15 p.m.
. Cultural Center of St.
gation in the Spring of 1981. Party, was a huge success. noon on Tuesday, June 21.
and games of their choice. the cost of $6 per person. accepted for the 1983-84 year. June 3 in the Fread Sanctuary. class will leave with Mrs.
learning environment for their education and cultural needs. dignity and respect while receiving high quality care. recipients of two national public relations awards. series of pilot projects to help aid in our planning for the future. for providing them with knowledgeable leaders. munity Chest, assisting each other in areas of common concern. veloped and implemented relating to mutual problems and needs. volving the Board leadership of all local Federation agencies. as an open, rather than an integral part of individual identity. an opportunity, rather than as a burden. question must be How are these goals to be accomplished? satisfaction of the doer and the Jewish people who are in need. cess of this past year's accomplishments. rKo rtaaA (r.r maintainintr nur steadfast nartnershin witk tk. o.
is possible to raise the necessary funds. for Israel. I am proud to report that we have kept that promise! increase of S 1.1 million. reached out to more volunteers and workers than ever before. percentage of the total dollars raised in 1963.
mitment to our own local community and to Israel. sharing in our Federation's rampaign in 1984.
as the role of the Federation as an umbrella for all the agencies we visited. awareness and response to our Federation campaign appeal. greater enhancement and benefit of all. Federation Tennis Cup in March. current juncture, as well as helping define and plan our future. munity in Palm Beach County. [ with many exciting "firsts." l s giving at this level. ling the Lion of Judah Pin. Performance as the event for the $500-$999 Category. new gifts and dollar increases. up which rounded out the Super Sunday efforts. gifts, recovering lost gifts and securing substantial increases in pledges. The campaign at the Lands of the President has nearly doubled this year. ness & Professional Women's campaign event. The year has seen a strengthening of leadership within our campaign. Engelstein, Dr. Elizabeth S. Freilich and Carole Klein. Jewish Education Service of North America. Inc.
13. High School m Israel Scholars*? icted at each institution for the elderly. malized elderly with programs of their own. jet committee under the guidance of Rabbi Sherman. programs and services to meet emerging needs. now under review by each of the agencies. and the challenges they present, will be met successfully. strated Jewish concern for local social problems. Jewish leaders received the Mid-East Report of AIPAC. Thompson, a reporter from Nashville, Tenn., who infiltrated tk. more about Israel and share this celebration. the area of professional growth and education. has over fifty youth from nine synagogues attending regularly. Jewish Education in our community. innovative programs and projects have been started as a result. To create a capital reserve to meet critical emergencies. community for which funds are not otherwise available. while fulfilling their charitable goals. thropic Funds in the formation stage or being considered. sharing the charitable enterprise with a wide variety of donors. celebration of holidays, and origins of Jewish customs. like the Soviet Union, Ethiopia and Latin America. state who have gone through a similar program. by the Council of Jewish Federations. report that our response has been overwhelmingly positive. munity to fulfill its responsibility. inspire students with a sense of pride as Americans and as Jews. School, Grades 7 through 9.
the nourishment for a hard day of learning and play. educational activities for the entire community. everyone to visit the school and "Shep Nachas," too. The Comprehensive Senior Service Center, under thedineti. tunity for older teens. The Jewish Community Youth Count! Council of the Boy Scouts of America. creased in number from ONE to FOUR. with a counselor from the Jewish Family and Children's Service. ,...... i ii i i "
lessening of the agency's servicing. service. The program is funded to help approximately 14 families. conducted by these volunteers more than doubled. in our community, in need. Geriatric Center this summer are moving ahead at a rapid pace. housekeeping, medical and rehabilitative services and personnel. equipped medical units will be distinctive features of the Center. nursing care by a skilled, efficient and understanding staff. Beach, Fla. 33407; Telephone: 471-5111.